There was a few firsts in June. 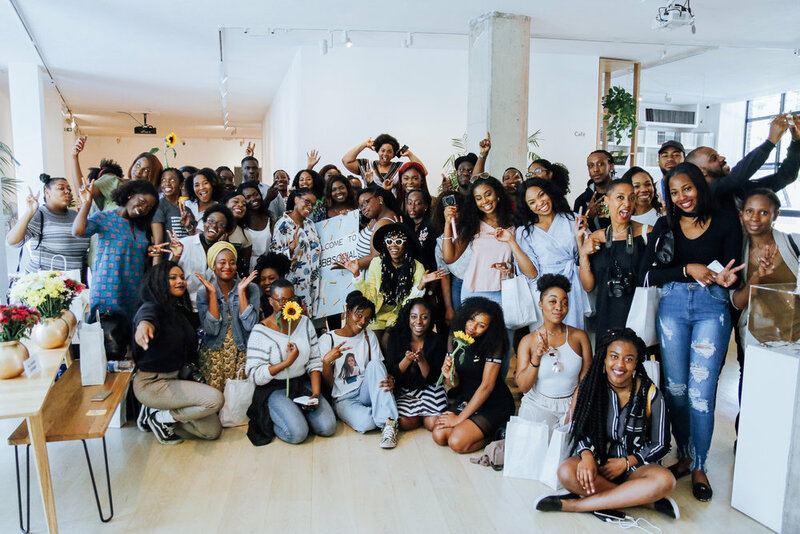 I went to my first bloggers event – BLACK BRITISH BLOGGERS SOCIAL. It was an amazing event, so glad I went. I also attended my first press day event. 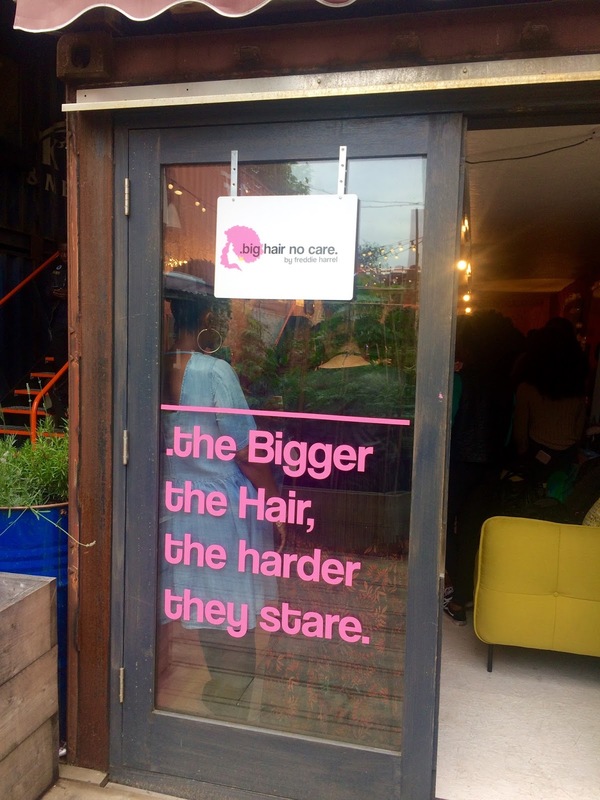 I was invited to the Big Hair No Care pop up store in Pop Brixton. Where Freddie hosted a great event introducing me, a selection of queens to her ethical afro textured clip ins. 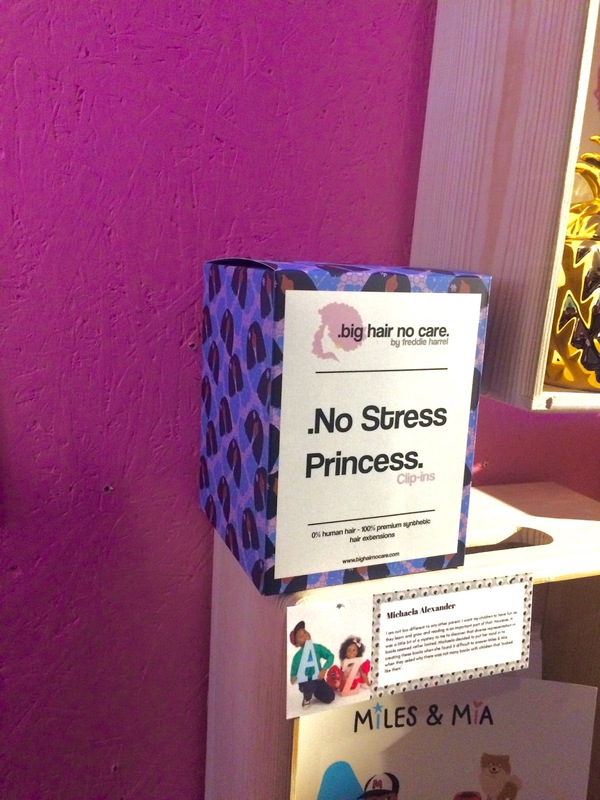 At the end of June I was invited to Freddie Harrel‘s Big Hair No Care press release. 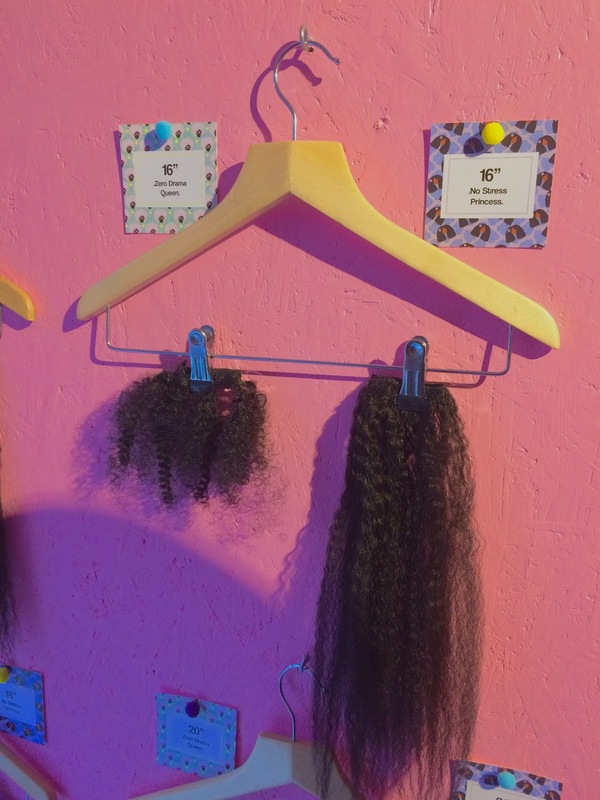 Freddie has just opened up a pop up store at Pop Brixton, selling her ethical afro textured clip ins. As well as stocking some equally amazing products. 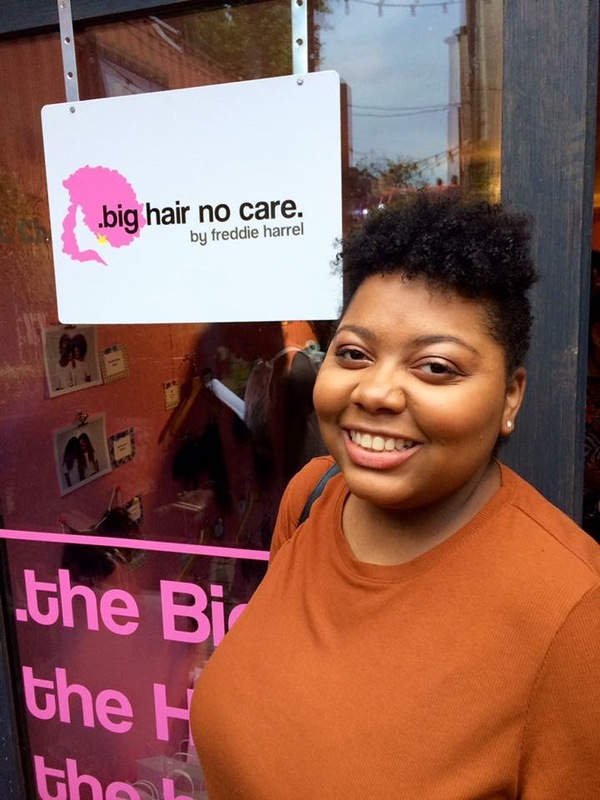 Freddie wanted to create a space for black women to come and enjoy some positive vibes. The picture above was of Freddie installing the Zero Drama Queen Clip Ins. Once they were installed I couldn’t even tell the difference between Chauntelle’s fro and the clip ins. There is no human hair used to make the wigs and clip ins. When Freddie learnt about the inhumane ways the human hair is collected, she became grossed out and decided that synthetic hair was a better option. However Freddie wanted her clip ins to last, and if you have ever used synthetic hair then you are familiar with it’s tendencies to tangle and become useless after a few weeks. 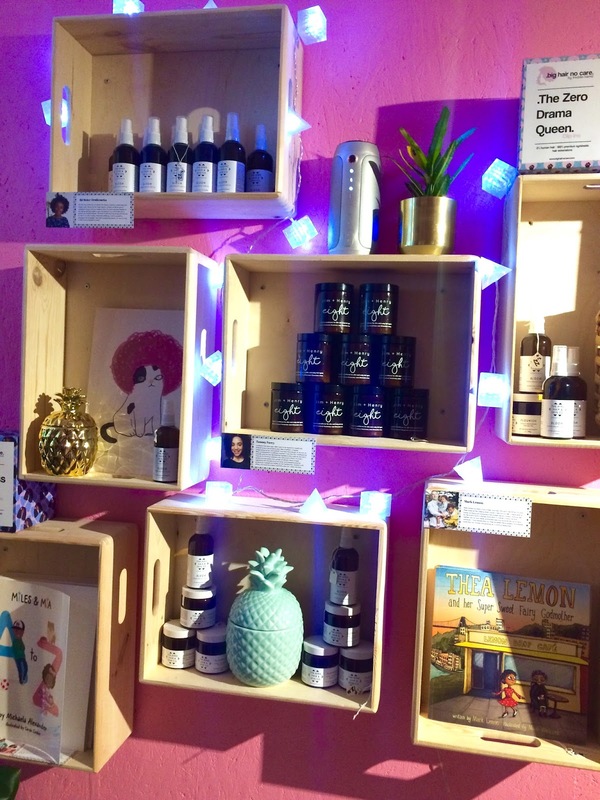 The BHNC store stocks Tammy’s Jim +Henry ‘Eight’ Leave In Conditioner, Ibi’s collection of plant based hair & skin care products The Afro Hair & Skin Co. A beautiful selection of books by Mark Lemon, starring mixed race children, and An A to Z book featuring Miles & Mia by Michaela Alexander. I have some more pictures from that evening on my instagram. You can see what I thought of the clip-ins here. It isn’t a monthly update if I don’t feature some of my current favourite tunes. Obviously I have been listening to SZA’s album Ctrl 🔥. Right now my favourite songs from the album; Love Galore, The Weekend, Normal Girl, Go Gina, and Pretty Little Birds. Wild Thoughts gets played everywhere, all of the time, but It’s definitely a summer tune. Came across two two songs by Freddie McGregor. I am now obsessed with; Big Ship and Rhythm So Nice. Giving me such Island vibes and getting me even more excited for carnival. The video to Jhene Aiko’s new song ‘While We’re Young’ is so cute. I love Jhene’s voice. (Currently bumpin’ to this whilst I finish up this post).